Per Jim (AD1C), "I wrote a program to split an ADIF file into multiple files based on the transmitted QTH. This is useful so that each log can be signed and uploaded to ARRL Logbook of the World (LoTW) using a different station location. This program works with N1MM and some WriteLog logs (others can be added on request)." 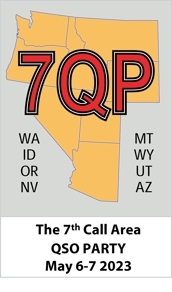 AD1C has a program designed aid in the import of QSO party contest logs into general purpose logging programs, automating the conversion of county abbreviations (like "ADA") into ADIF-compatible county names ("PA,Adams"). It's available here. This program should work both in DOS and in an MS-DOS window under all flavors of MS Windows. Type the name of the program by itself to see the syntax, as well as the complete list of QSO parties supported. Just in case you want to help out the committee and submit your log in Cabrillo rather than ADIF, get SP7DQR's ADIF2CABR utility from his website.